For Honor is getting in on the Halloween goodness with its own spooky event: Return of the Otherworld. 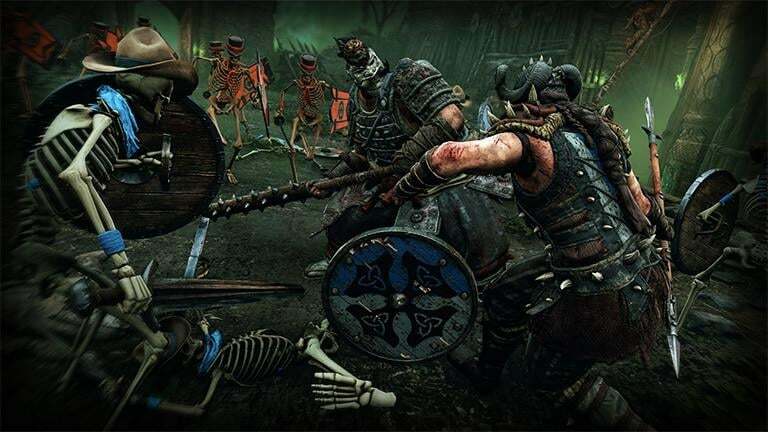 Ubisoft's challenging brawler For Honor has welcomed new Halloween goodies that allow ghoulish Heroes from all factions to transform into more appropriately spooky versions of themselves thanks to new Mask Outfits. It will also bring back Endless March, which is a variant of the Dominion game mode, as well as Weekly Arcade Quests. These will add new challenges to Marching Fire's new PvE mode. Of course, it wouldn't be a proper Halloween event without special loot and other goodies, too. A new "Moonlight Sonata" effect, weapons, and gear will be up for grabs as well as a bundle with special event customization items to keep things set for the holidays. There's a bundle you can purchase that will be cheaper based on what event items you've already purchased, so you don't have to pay more for stuff that's already in your collection.